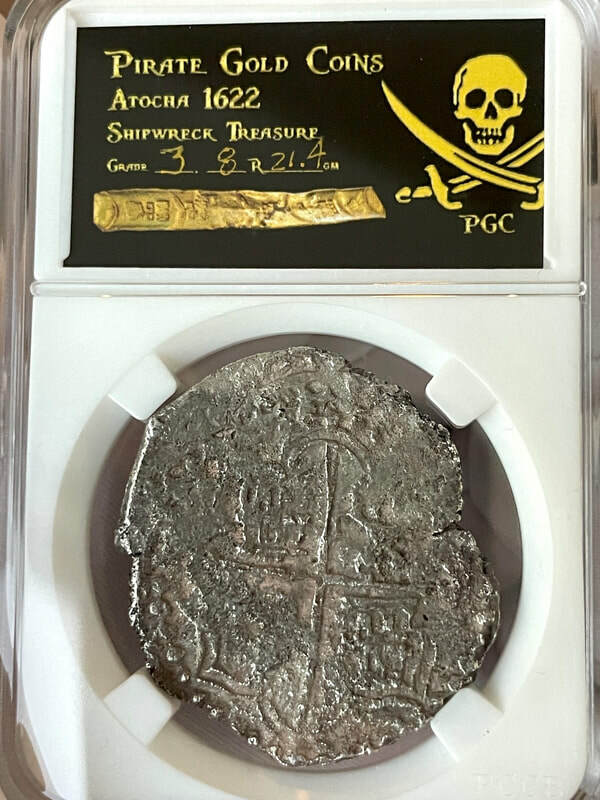 PERU 1711 2 ESCUDOS NGC 62 “1715 FLEET” SHIPWRECK GOLD DOUBLOON COB TREASURE COIN This LIMA PERU 1711 2 Escudos weighs 6.77gm and is approx. 20 to 21mm and is near the top of the Highest ever Certified! More importantly than grade it has certain attributes that are RARELY seen on similar pieces. 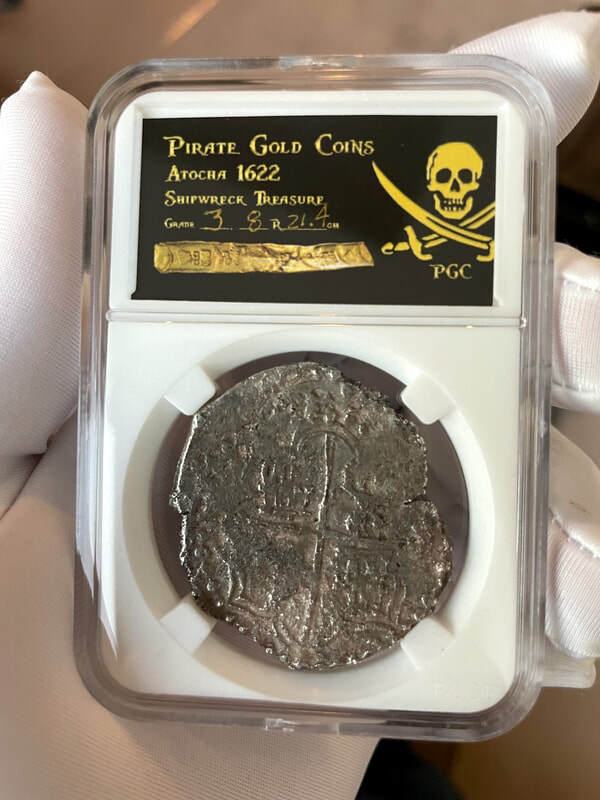 AT the top of that list is the “FULL CROWN!” Especially on a 2E, this is almost never seen, regardless of grade and it’s highly coveted among Collectors! New is the absence of any Doubling on the Strike, again, Rarely seen. But perhaps the just as rare is the almost entire Legends on both the Obverse and Reverse! The cross is FULL and NOT broken, Not Double struck and almost Perfectly Centered! The beading around the Cross is also complete; but rarely do you ever see Full legends all the way around the Cross (Philipus V. DG. HISPANI). The Obverse displaying (REX = KING, ETYD=the Indies). We’ve had maybe 3 of these in the last decade, but this piece is BY FAR the FINEST we’ve ever seen (and that includes the couple that are graded higher).